Classes are first-come, first-serve. A wait-list is available in the event a student drops the class. We'll notify you by phone or email if an opening becomes available. Classes are held from 9am - 5pm on the day(s) of the class. There is a fee of 30% for cancellations made less than 30 days before the start of class. 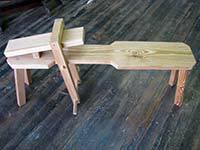 A one-day course designed to introduce the student to the three fundamental woodworking joints. Students will layout and cut each of the three joints using hand tools. The dovetail, housing dado, and mortise & tenon are the building blocks upon which woodworking is based. 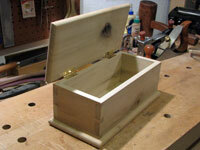 This course is a prerequisite for further joinery classes. This is a two-day course. Students will build a small candle box for the course. 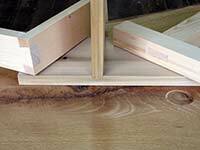 The candle box course focuses on the dovetail joint and is designed to familiarize the student with this joint. Students will layout and cut eight dovetails for the box. Mortises for the hinges will also be cut. This is a two-day course. Students will build a small wall shelf. The wall shelf employs housing dadoes and mortise and tenon joints. All joinery will be done using only hand tools. Students will be introduced to through tenons, stopped tenons, and housing dadoes during this course. The side table is a two day course. Students will build a small side table. The side table is focused on the mortise and tenon joint. Students will also learn to hand taper legs and edge join boards for the table top. Students can choose from walnut, cherry, or oak for their table. This is a two-day course. Students will build their own shaving horse. The horse design is a treadle style. It is a very simple horse to build but is very effective to use. The horse can be easily broken down for transport or shipping. This is a one-day class. 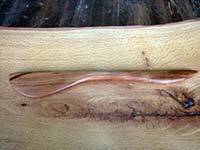 Students will shape a wooden spatula using traditional shaping tools. Students will use basic hand tools to shape and refine the spatula. Tools include the hand brace, chisels, coping saw, spokeshave, card scraper. This is a one-day class. Students will carve a wooden spoon using traditional shaping tools. 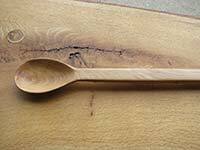 Students will use basic hand tools to shape and refine the spoon. Tools include chisels, gouges, coping saw, spokeshave, card scraper. This is a one-day class. 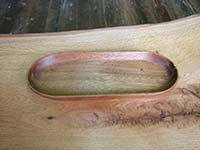 Students will carve a wooden bowl using traditional shaping tools. Students will use basic hand tools to shape and refine the bowl. Tools include chisels, gouges, coping saw, spokeshave, card scraper. This is a one-day course. 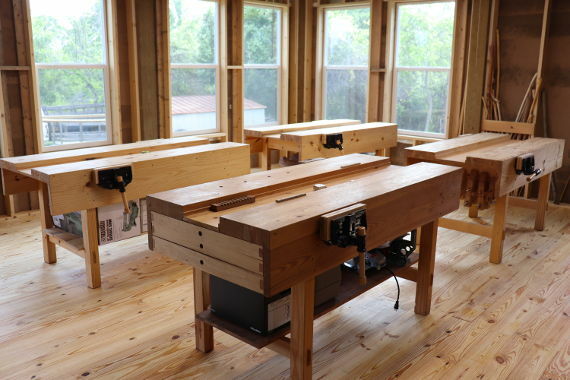 Students will learn to sharpen common bench tools. 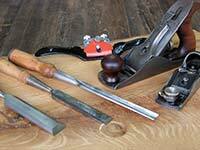 How to sharpen chisels, plane irons, spokeshaves and drawknives will be demonstrated. Basic theory, sharpening medium options and technique will be covered during this class, with time for hands-on practice. Diamond plates are used in this school. Students are welcome to bring whatever sharpening medium they use at home to the class. Students should bring their own tools to sharpen. This is a one-day class. 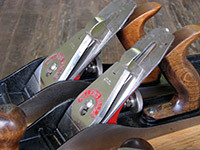 Students will learn the proper setup and use of various hand planes. A short history of the evolution of planes will be discussed, as well as the general function of the various planes. How to select a good used (flea market) plane will be discussed. The bench plane, block plane, and shoulder plane will be covered in detail.